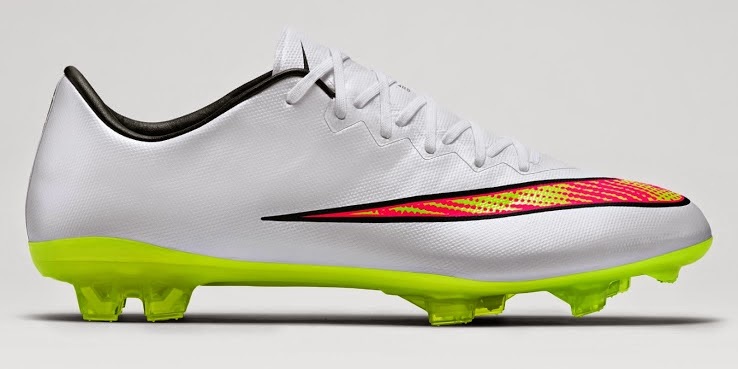 Nike has released their latest Nike Mercurial Vapor X boot, this time white is the main color chosen for this boot that has become one of the most popular boots in the market. Vapor is the second tier boot in the Mercurial silo but it is also one of the more affordable boots which makes it very popular. 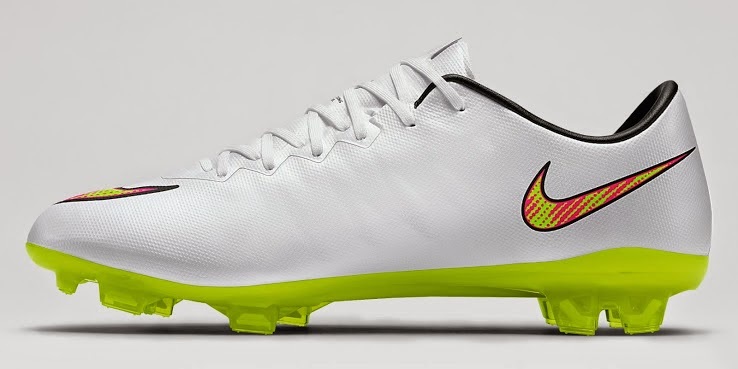 The boot is predominantly white, with the exception of the Nike swoosh and the sole of the boot. The Nike swoosh has a lime green color that matches the sole for a superior look, similar to what Nike has done with the Hypervenom. The boot itself features ultra-thin Teijin leather for a superior fit and comfort. Just like the Hypervenom this boot combines a micro texture fabric with the All Conditions Control for incredible ball handling in all weather conditions. The sole is all one color that matches some of the color in the Nike swoosh as I mentioned above, with the exception being the all black Nike logo on it. This black Nike swoosh really sets itself apart in a sole that has that much color in it. You won’t see many if any professional footballers wearing this boot. 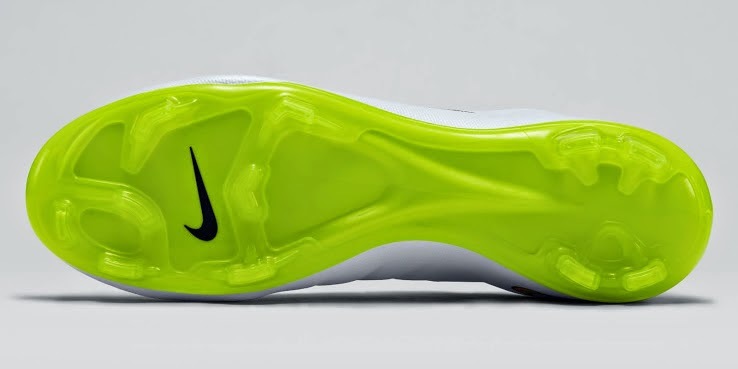 They will wear this color but on the Mercurial Volt, since the Vapor is seen as the second tier in this Mercurial silo of boots.